This is a carton of 12 tubes. 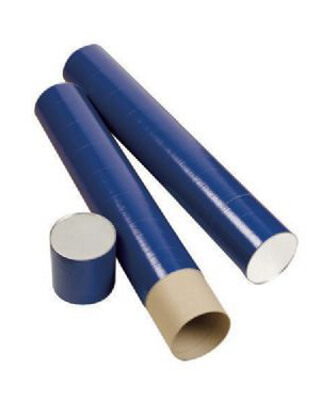 The Alvin Indigo Fiberboard Tube is a strong jute fiber drawing tube that works great for storing and mailing anything that can be rolled, including charts, maps, drawings, artwork, blueprints, and posters. Includes tight-slip caps and reinforced metal ends. Inside diameter of tube is 5-1/2". The Alvin Indigo Fiberboard Tube comes in 4 different lengths to choose from. Sold 12 tubes to a carton.